Tonight on Locals Only we have Carlos Arzate live in Studio 2a at 9pm. Front man for American Android, Carlos Arzate will be performing original music written over the past year inspired by life, love, loss and the ties that bind us through our common human experience. In his solo performance, Arzate takes the passion listeners of American Android have come to know and strips it down to its core. The result is a mosaic of rock, soul and folk influenced music that translates into an authentically passionate and moving sound. 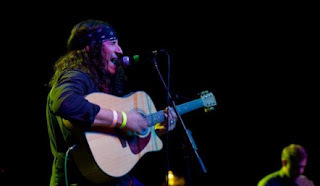 Carlos Arzate performs Saturday May 12th at Club Congress with Ryan Green and Sweet Ghosts. Listen to their Locals Only performances and past ones at the KXCI Locals Only Podcast Archive (and this one once it is available).